Under Jim Caldwell in his first season, no one knew exactly what to expect from the Lions. 1. The defense was one of the best in the NFL. The secondary was not an issue, the line was the best in the business. For most of the season they were the NFL’s best and the rush defense remained No. 1. Safe to say that was unexpected. Teryl Austin succeeded so well that he’s drawn interest from three teams (Bills, Falcons, 49ers) as a head coach candidate. 2. The offense was inconsistent throughout the season. With the additions of Golden Tate and Eric Ebron, much more was expected. Everyone thought the new offense would be more explosive from the get-go. Injuries were an issue especially on the offensive line. They had only five games where the starters from week one were able to play. Depth guys were rookies. 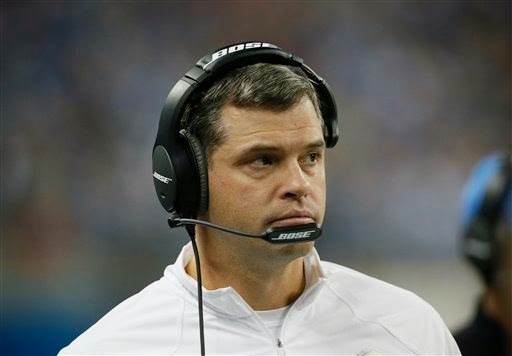 Offensive coordinator Joe Lombardi has been targeted by fans, but Jim Caldwell totally has his back. “We don’t talk about it because we don’t make any excuses, but let me just tell you something as a play-caller, what (Lombardi) had to deal with in terms of juggling guys, using people, particularly what we had with changes in our offensive line, things of that nature, who to protect, who not to help, all these kinds of things, it’s a lot different than public perception, trust me,’’ Caldwell said. “What he did in terms of being able to get us through some of those very rough spots was exceptional, the whole offensive staff. I know often times we all look at the bottom line and hey, that’s well and good. I think the bottom line is wins and losses is what we should be looking at, but did we win enough to get us in position to play further in the season? Yeah, we did. Did we play as well as we’d like to? No, and I think we have to continue to improve in that area,’’ Caldwell added.